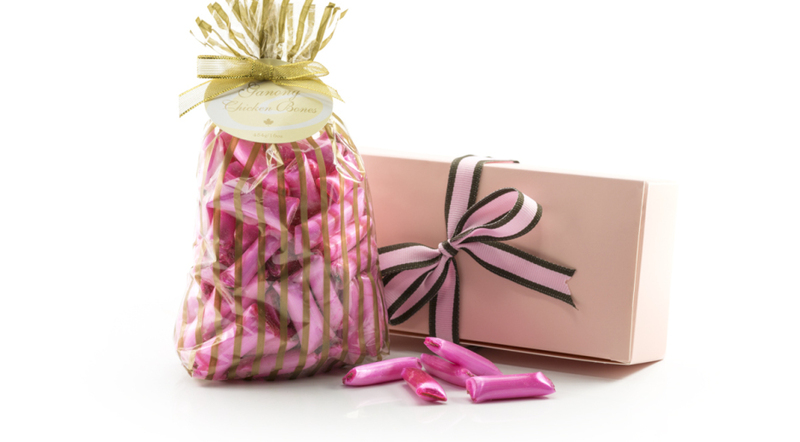 Inspired by our Original Chicken Bones candy, this piece has a bright pink soft centre and milk chocolate coating. 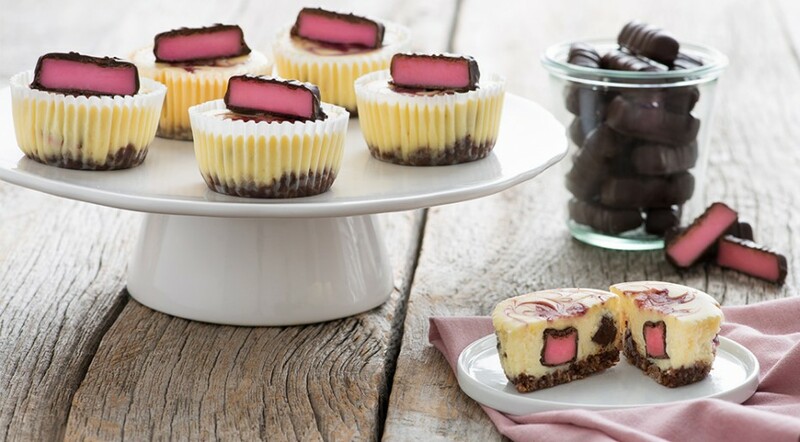 Use in the Chicken Bones cheesecake recipe! 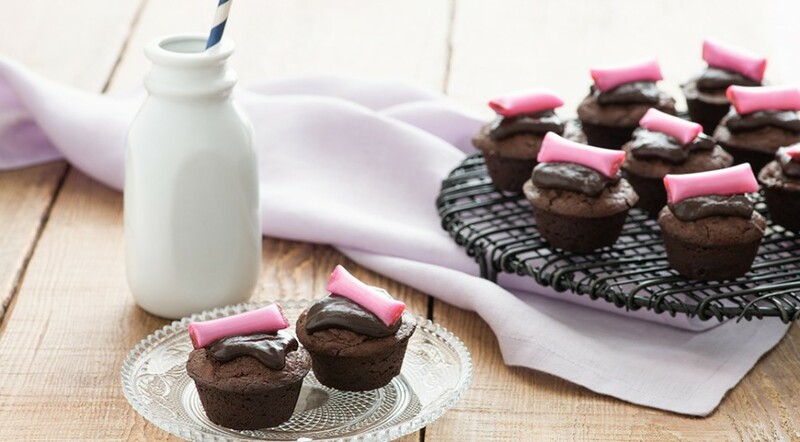 For those who want more chocolate with their Chicken Bones! Ganong Original Chicken Bones ™, since 1885. 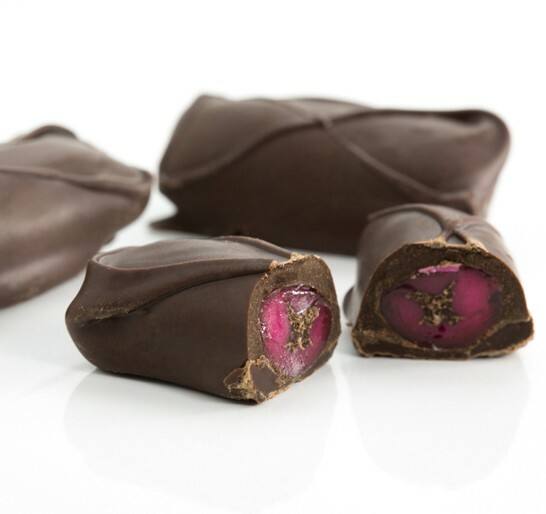 A delicious semi-sweet chocolate centre inside a hard spicy cinnamon flavoured pink candy shell then hand dipped in premium dark chocolate. In Celebration of the 130th anniversary of Ganong Original Chicken Bones ™, try the new bite-size version: Chicken Bones Bites. 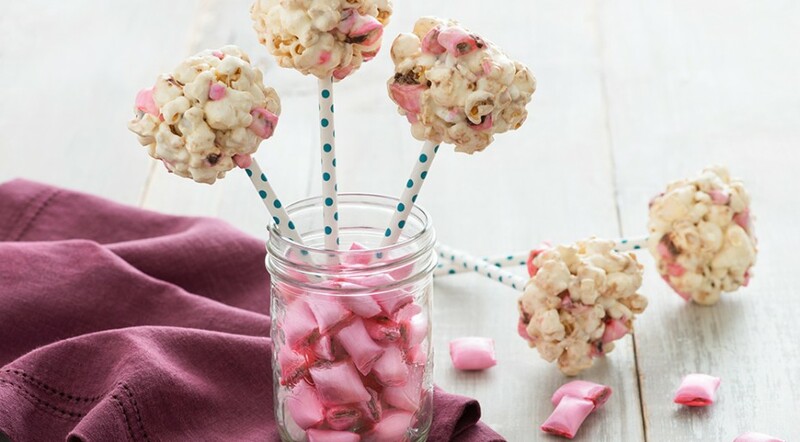 Also check out the Chicken Bones inspired recipes! 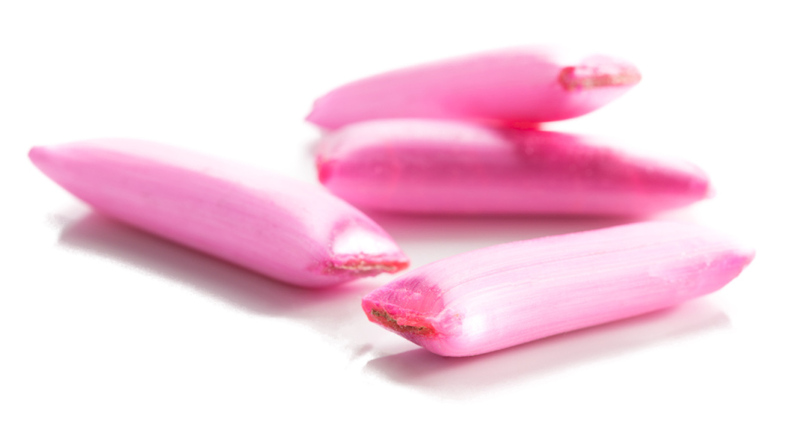 Ganong Original Chicken Bones ™, hand crafted since 1885. 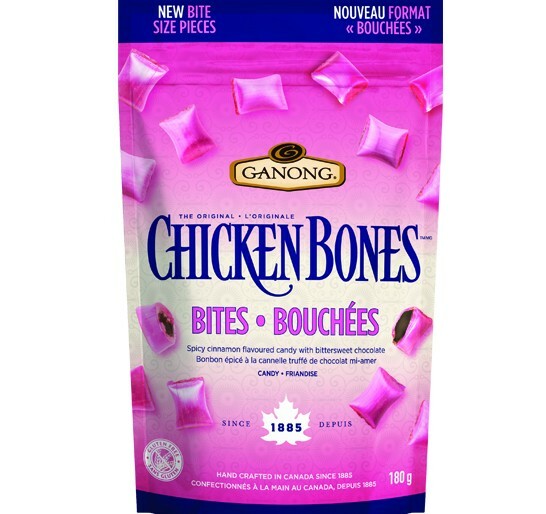 Ganong Original Chicken Bones ™, since 1885. 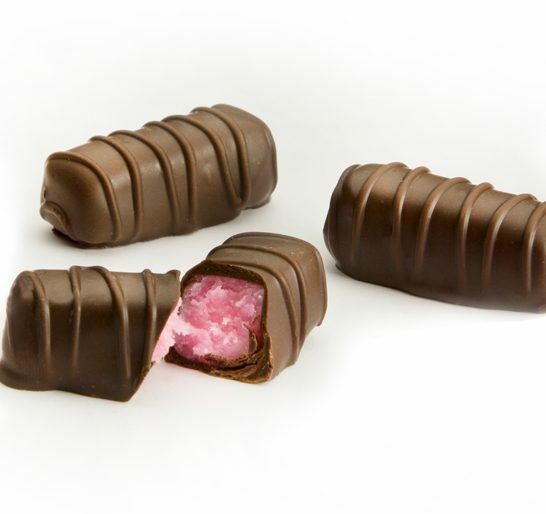 A delicious semi-sweet chocolate centre inside a hard spicy cinnamon flavoured pink candy shell. Prepared in a premium cello bag.